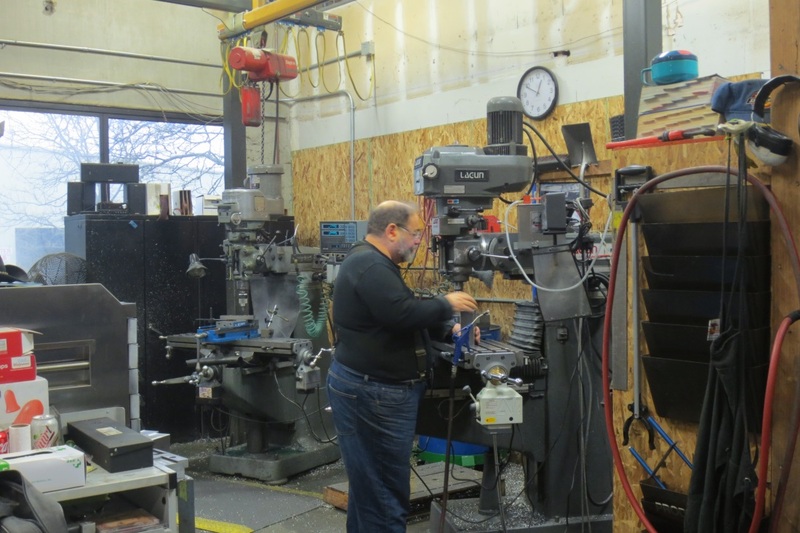 Machining | Integrated Inspection Systems, Inc.
We operate four 3 axis and one 5 axis CNC. 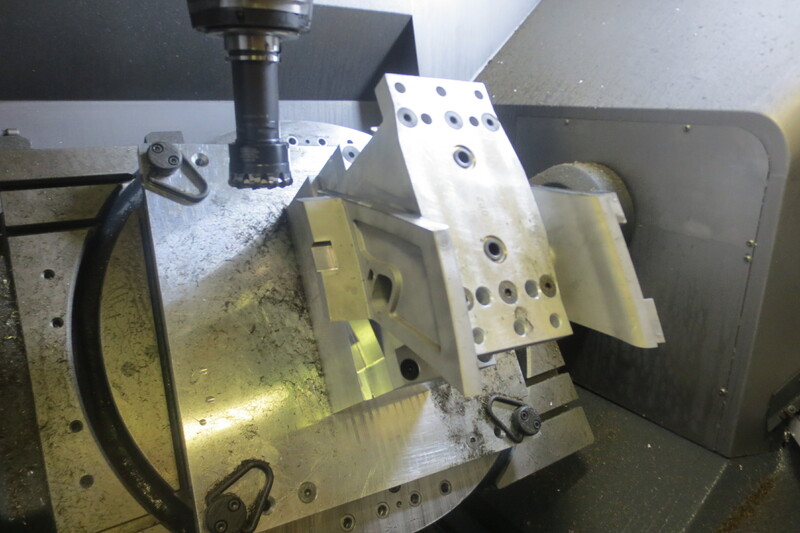 All of our CNC’s are linked to MetBase and driven by CMM data. We have real time, forwards and backwards (revision) control for all CMM and CNC part programs. Why is this process a big deal? Please view our reject rate below. We utilize a proprietary 4 sigma targeting system that was developed in 2001. 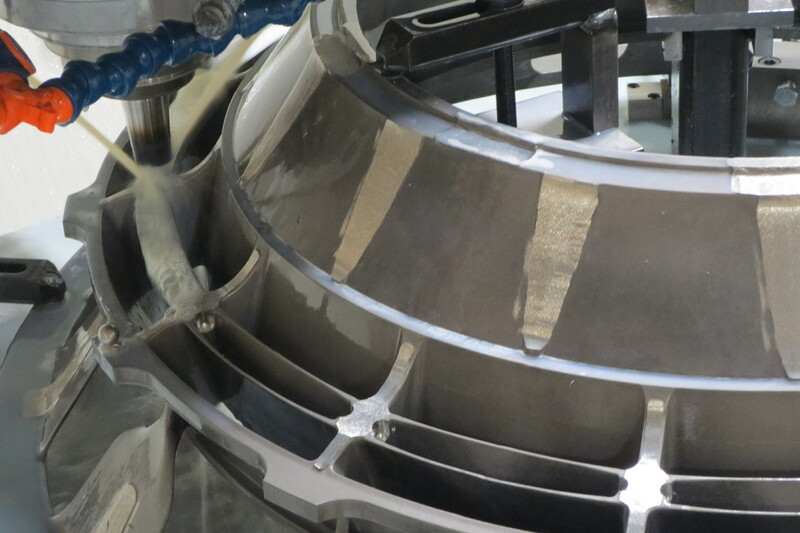 We have Target Machined in excess of one hundred thousand castings with a life time reject rate less than 1.7 castings per thousand ( 1/1000 in 2016). We are not aware of any other vendors or customers with this capability. We primarily target machine Industrial Gas Turbine, and Aerospace Components. The processes are developed in house and utilize Statistical Process Control to ensure conformity. 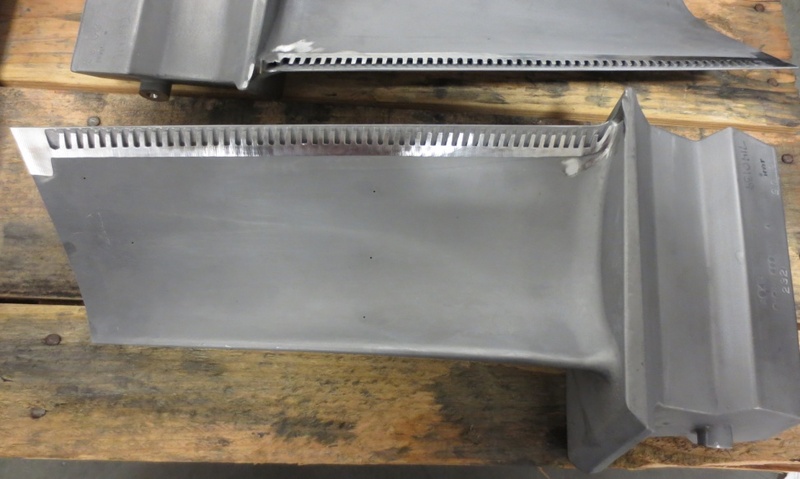 It is not uncommon for a manufacturing process to drift 1.5 sigma over time. All of our processes are designed to be fail safe. Integrated utilizes a feedback loop to monitor and maintain process control. 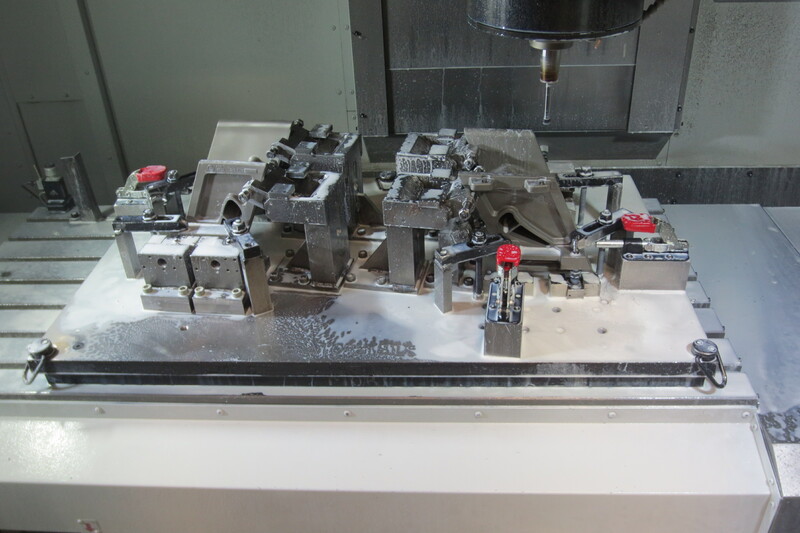 We added a Mori DMU 650 5 axis CNC in 2014 and linked it to the same 3 axis system. The addition of this machine allowed the incorporation of Adaptive Machining of complex geometry. This technology allows us to melt a CAD model into a casting. 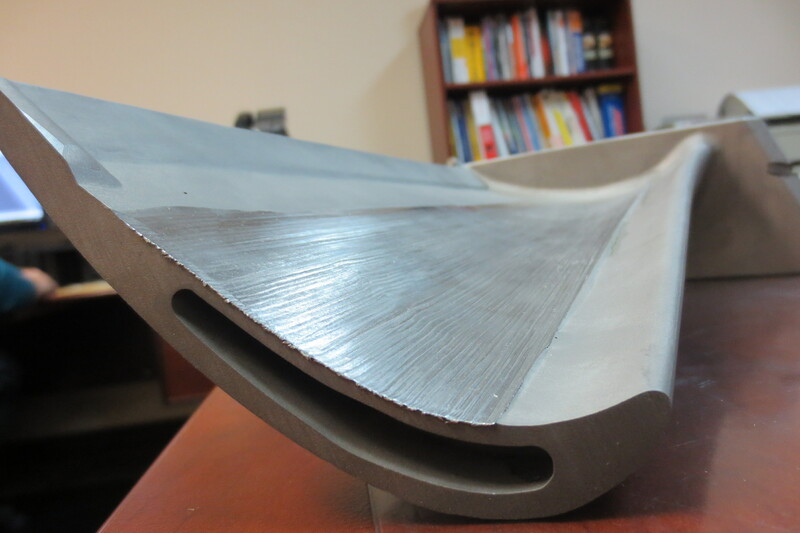 Our first try at this was trailing edge gate removal on Industrial Gas Turbine blades. There is little if any notching, limited only by the CMM point density used to obtain the casting deviations. 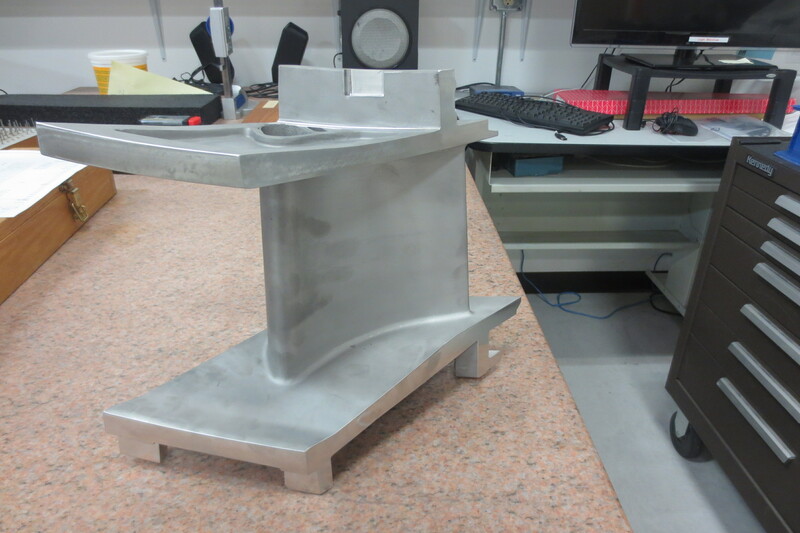 It is very difficult to tell where the casting ends and the machining starts. 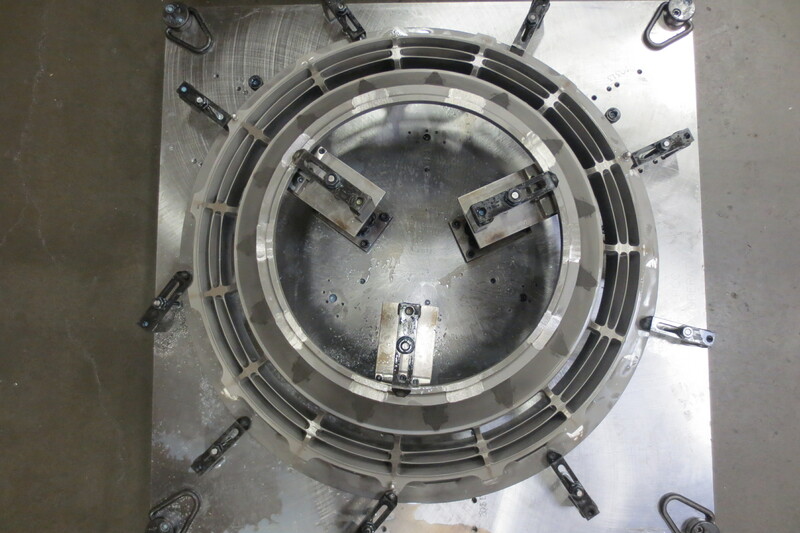 We are able to do this by merging deviations from the CMM into a CAM program. Every program is unique to the geometry it is cutting and every program is created on the fly. Are we going to make a mistake? Statistically we have to, but our persistence for high quality manufacturing differentiates us from the infrequency of occurrence.